Ḥorvat Bira is a rural settlement south of the Rosh Ha‘ayin stone quarries. It covers an area of c. 7.5 a., half of which was occupied by dwellings and workshops. The remaining area included various agricultural installations. Ten structures identified as large dwellings, workshops, and storage structures were uncovered; and 16 reservoirs and cisterns, 4 rock-cut winepresses, 3 oil presses, a lime kiln, arcosolia tombs, shaft graves, and cist graves were also found. A church was constructed within one of the large dwellings. Paths quarried in the rock connected the various areas of the settlement. 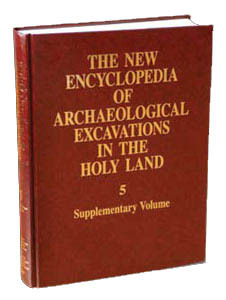 Between 1980 and 1983 salvage excavations were conducted at the site on behalf of the Department of Land of Israel Studies and Archaeology at Bar-Ilan University and the Department of Antiquities and Museums, under the direction of S. Dar and Z. Safrai. In 1998 a complementary survey of ancient quarries was conducted around Ḥorvat Bira by Z. Safrai and A. Sasson.